A DUI arrest can happen to anyone. It can even happen to the most responsible and law-abiding citizen. Because Utah’s drunk driving laws are among the toughest in the nation. A DUI arrest can happen to anyone. It can even happen to the most responsible and law abiding citizen. Because Utah’s drunk driving laws are among the toughest in the nation, the consequences can be severe. In addition to facing the loss of your driver’s license, paying a heavy fine and possible jail time, just one DUI conviction can also permanently ruin your personal and professional reputation. But it does not have to ruin your life. There are few things more stressful than getting arrested and charged with a DUI. It can be easy to lose control of your emotions and lash out at the arresting officer. The important thing is to stay calm. Anything you say could be used to incriminate you in a court of law. Sometimes the best defense is to say nothing. One of the biggest mistakes people make is displaying their anger and emotions on social media. Posts on Facebook, Twitter or Instagram can often place a person a greater risk for a conviction. If you must discuss your DUI arrest, speak strictly to your criminal defense attorney. Not every person arrested for DUI in Utah is an alcoholic. The truth is it does not take many drinks to get legally drunk. During this difficult time, it may be best to make some self-evaluations. Try to avoid drinking any alcohol–even in a social setting. If you are not sure if you have a drinking problem, it may be time to talk to your friends and family. Listen carefully to their words. Ask them if they have notice any dramatic changes in your behavior. Sometimes good old fashioned honesty is the best medicine. If you have been arrested for DUI, it is important to cut off any ties to people who will encourage you to drink. Even if a person is not an alcoholic, removing those negative influences places you in a better position to avoid alcohol. Instead, place an emphasis on building a support system with friends and family who have your best interests. Sometimes it can be difficult to admit you need help. But sometimes it takes the assistance of others to overcome personal problems. If you have a drinking problem, it is important to get professional help or counseling as soon possible. Keep in mind counseling is not just for alcoholics. Many people turn to alcohol to relieve the stress in their daily lives. 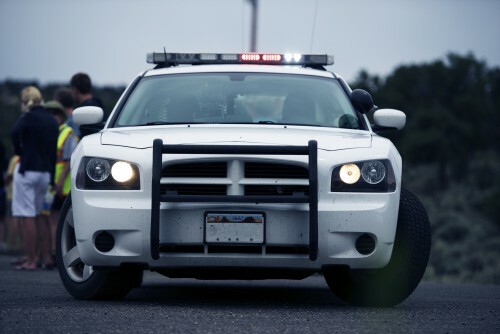 Many people who have been arrested for DUI do not properly understand their rights. It is vital to seek representation from an experienced and knowledgeable legal professional who will always look after your best interests. Over the years, Farmington DUI attorney Joseph Jardine has utilized a personable and comprehensive approach to help protect the rights of each client and to place them in the best position to succeed. To learn more, contact his criminal defense law office in Farmington and schedule a free initial consultation to discuss your case.